Empires continue to influence modern societies even though most appear to have disappeared, according to a new book co-edited by City University London academic Professor Ronen Palan. Legacies of Empire: Imperial Roots of the Contemporary Global Order features examples from across the globe that suggest old empires leave their mark on the regions they used to cover. Professor Palan, of the Department of International Politics, says there is evidence that past empires have had long-term effects on politics, culture, legal systems and other institutions. For example, it is argued that although the British Empire has disappeared from maps of the world, it remains alive in the international finance industry. 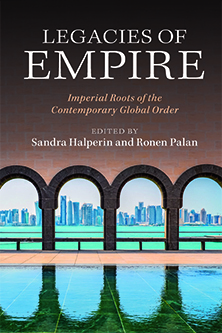 In his conclusion with co-editor Professor Sandra Halperin (of Royal Halloway, University of London) the City academic says modern nation states have been shaped by the empires that they emerged out of over the past 200 years. Discussing the new book, Professor Palan said: “In the twenty-first century, we tend to see the world as made up of independent states and forget the empires that came before them. Often, we envision a planet separated into bounded national units that have replaced empires, which appear to have disappeared without a trace. “However, the contributors to this book all argue that empires have left things behind that persist in countries which, seemingly, have developed independently from one another. “Legacies can be seen in many key elements in modern societies, from military organisation and the functioning of financial institutions, to social traditions and political structures. 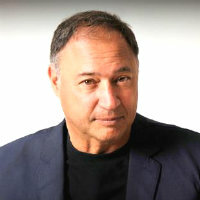 The book has four main aims: to help us understand the historical origins of organisation and practices in the modern world; improve our knowledge of the make-up of the international system; discover if this historic understanding can shed light on contemporary developments; and to find out if legacies of old empires can tell us anything about the likely future impact of the American empire. Professor Palan’s chapter, titled The second British Empire and the re-emergence of global finance, looks at the survival and growth of Britain’s financial institutions after the fall of its physical empire. Discussing the chapter, he said: “While the British Empire has disappeared from contemporary maps of the world, it remains very much alive in one crucial map – the map of international finance. “If we take together the City of London, overseas territories like the Cayman Islands, crown dependencies and recently independent colonies like Singapore, we can see that institutions based around British imperial pole account for the largest proportion of global financial activity. “Looking at the two figures commonly used for ranking international financial centres, the British pole accounted for almost 40 per cent of all outstanding international loans in 2009, as well as around 37 per cent of all outstanding international deposits. “But how did it get to this position? The spread of financial services across these regions occurred after the rapid collapse of Britain’s traditional trading empire – and without this geo-political umbrella, companies in London’s financial centre were left stranded. “However, they soon learned that the same laws applied in both the British capital and the more distant remnants of its empire. It is in these regions that, like in others explored in our book, we can see an imperial legacy that is very much alive, thanks to the lack of regulation within the City of London and the opportunities for avoiding tax in the former outposts of the empire. The book concludes with a call for more empirical research to be done into legacies of empires, highlighting the fact that the study of the area is in its infancy and many of the questions it raises must still be answered.